At a time when there are around 197 million people unemployed across the globe, there’s no doubt it can be incredibly difficult to find a job. This is highlighted even more by some of the latest figures from recruiters which estimate that upwards of 100 job seekers are now applying for a single vacancy. So what can you do to make yourself stand out from the crowd and ensure you are picked ahead of numerous other candidates? According to a study by High Fliers Research – a company investigating recruitment opportunities for university leavers – 36 per cent of jobs offered by employers in 2013 will be awarded to people who have already worked for them in some capacity. As such, it is essential to get as much work experience as possible, even if this sometimes unfortunately means taking on unpaid work placements or internships. In addition to ensuring you already have one foot in the door at a certain workplace, this experience will help to develop key skills that employers look for – such as communication, organisation and trust, arguably three of the most important for a freelancer. You should also take this opportunity to demonstrate how punctual and eager to work you are, as these are aspects that will be looked upon favourably and give you the edge over applicants who are not currently in similar positions. With the popularity of social media sites such as Twitter and Facebook increasing drastically in recent years, people are putting more and more information about themselves on the internet. As a result, it has become common practice for employers to search an applicant’s name and find their social media profiles. Therefore, it is vital you make sure they do not find anything that would put them off employing you. If you are applying for jobs in a certain sector, try to make posts that show your expertise in that area and shy away from making risky jokes or saying things that could be construed as offensive. In certain circumstances organisations have used the content on staff’s social media profiles as ammo for dismissal, which has then resulted in employment solicitors having to get involved to ensure this was legitimate. Unfortunately this is being seen more and more so it’s worth giving profiles a quick once over to make sure there’s nothing on there an employer could look unfavourably upon. Whereas job seekers once speculatively handed their CVs out to employers en masse, it is now quite common to see applicants copy and paste answers to online questionnaires and send the same resume to a number of different companies. However, the need to tailor your application to the specific vacancy cannot be understated. This will really pay off in the long run and it is a far more effective use of your time to submit a handful of good, targeted applications than numerous identical ones. As well ensuring your CV is specific to the particular role you are applying for, producing a cover letter that is unique to the company is also essential. You should look to make sure you make reference to the firm and why you want to work there, as well as highlighting the skills and experiences you possess that make you the ideal candidate. Time spent researching the company will not be wasted, because you will need this information when it comes to the interview stage of the process. Simply looking at the firms’ websites for a few minutes will not provide you with the required insight, so investigate further to see if you can find out specific details relating to what they do, who they work with and who their competitors are. These are all details that will seriously impress a potential employer and the fact you have done the research shows you are keen to secure the job. Jonathan Gordon is an enthusiastic blogger who writes for a variety of websites, including family lawyers Slater & Gordon. Hi Agnes, it is a fact that the more known you are the more work you will get. Social media is actually a beneficial tool in this case. It has helped so many to get work, that is why I feel social media is not only meant for socializing. Thanks a lot for the post. Getting a job is becoming more of a race these days. You have said it correctly Agnes, you compete with a hundred of people for a job, and you get only one chance per job, you won’t be entertained later. You can’t afford to make mistakes, jobs seekers must try their best to impress the recruiters, the image matters a lot. 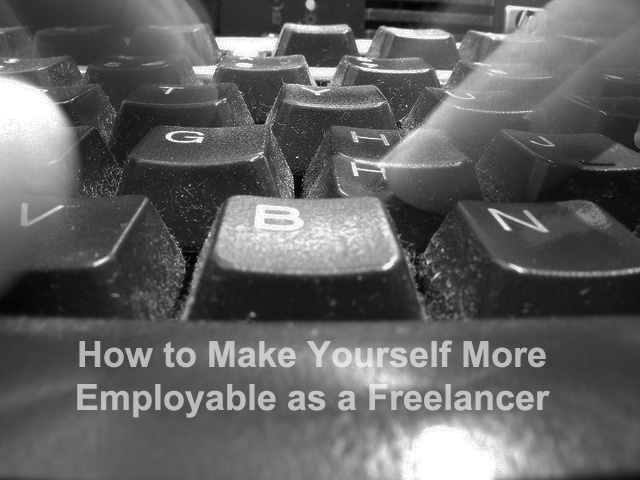 Something I may add is that, for those who are juggling free-lancing and a full-time job, it can prove greatly beneficial to make sure that you choose a full time job that can help develop and hone your freelancing skills. Kill two birds with one stone.